This verse is widely used in Christian mission circles. In fact we recently created some cool t-shirts in support of Swaziland & Bheveni with this verse highlighted on the back. Before my last trip to Swaziland this verse gave some solid backing to the question of why I'd go to Swaziland. Why would anyone raise thousands of dollars to travel to a small, poor country near South Africa? Why should anyone else care or support this mission? 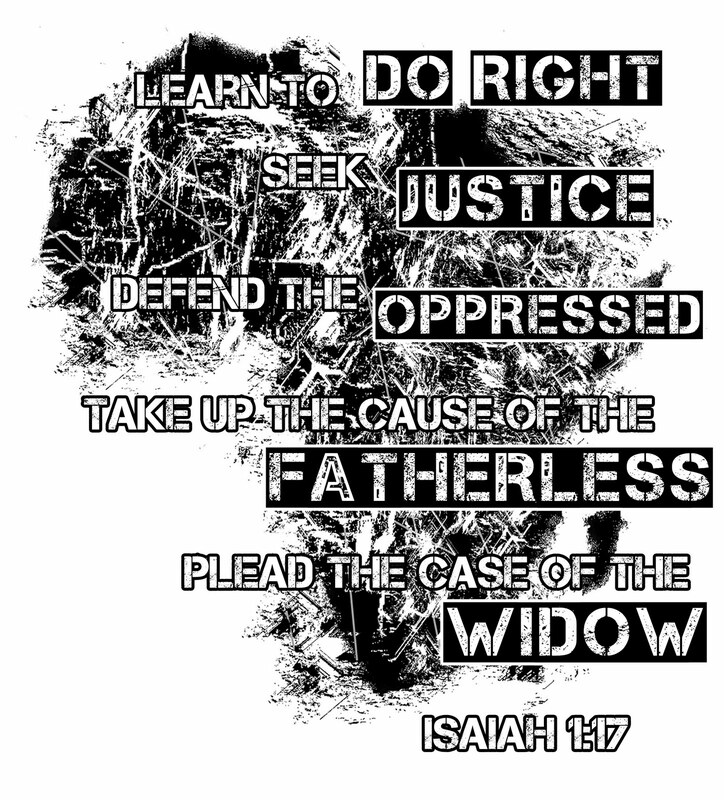 Isaiah 1:17 was always there to remind us that we should do right, encourage the oppressed, defend the fatherless, and so on. It was easy "ammo" scripture in time of need. Support my cause because the Bible says so! To be fair, I didn't need much ammo in finding support near and far as I prepared last year. Most people were quite encouraging with their words and finances. 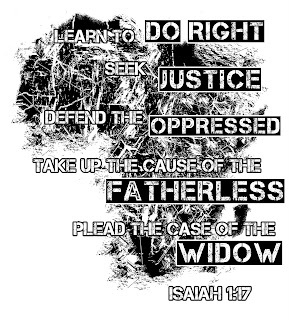 But there it is...do right...seek justice...defend...fatherless...widow. Hard to argue with, right? But so often we find a way to subvert what we're doing toward our own benefit. We focus our efforts on what benefits us. Or our children. Or what can bring the best ROI. And in this one verse we are given clear direction toward others. Specifically toward those in great need. One of the reasons I'm writing these posts is to try to connect you with my heart for Bheveni. I want to share the experiences I've had so that you can possibly share in the burden I sometimes carry. Another reason I'm writing is that I want to see my heart more connected to Jesus' heart for Bheveni and the world. That's right, I need to re-connect. I need to see what Jesus sees. I'm looking back to the experiences I was blessed to part of, so that Jesus can move my heart closer to his. Hopefully you are blessed along the way. Hopefully your heart is moved closer to his too. One day in our journey we were able to visit another carepoint named Bhulakane. This was a larger, more established carepoint than Bheveni. They have a school onsite, several buildings, and a playground. The reason we came to visit Bhulakane is because it is the carepoint where women working with Timbali Crafts come to turn in their creations and collect more materials for future creations. 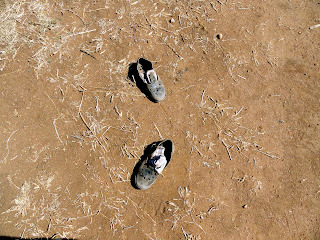 Upon arrival we quickly found that the children of Bhulakane were much more accustomed to having guests. They instantly wanted to play, have their pictures made, and were quick to poke a little fun toward us too. They weren't naughty, they just knew how to make their own fun with strangers around! As the Timbali purses and crafts were being collected, several of the ladies in our group were enlisted to assist with inspecting and sorting the various purses and bags being brought in. I was left to myself for a good while and went out to the yard and started playing with the children. There were about a dozen young boys and girls between maybe six and ten years old, and all of them thought it would be great fun to use me as a piece of their jungle gym. They began chasing and crawling and climbing and clutching all about and on me! Some were reaching for my pockets or into my satchel or wherever they could find to get a little closer. I later quipped that I was glad I had worn long pants rather than shorts that day! It was a blessing to see that there was no fear of me with these little ones. They were exhausting to try to keep up with! Every so often I would escape from the children for a bit by returning to the building where they were working on Timbali Crafts. Mostly to get a little breather as these kids could wear me down! I've written about this experience before, but I believe it's worth repeating. After one of these little breaks I stepped out to visit one of the outhouses. There were a four or five small outhouses near the back corner of the carepoint with worn trails in the dirt and grass from near each building to where the outhouses stood. As I marched the path to the outhouse I noticed that there were several others coming to or going from the outhouses as well. Children from the carepoint, mostly students in school, who needed to relieve themselves like myself. One young girl caught my attention as she made her way toward the stone and mud loo. I knew that she was a student because of her school uniform. She was a bit up the hill from me, walking tentatively upon another trail that eventually funneled into the one I was on. She was glancing around a bit which I found unusual. I remember thinking that perhaps I was somehow making her uncomfortable and attempted not to stare in her direction. She took a few more steps down the path, then did something surprising. She lept into a shallow hole! It was maybe four feet deep or so. I couldn't really tell from my vantage point. In fact I wouldn't have known the hole was there had she not jumped down into it. Now she had my attention! Quick as nothing she was scrambling up out of the hole and back onto the path to the loo, walking along as if her actions had been as normal as anything one might expect. For a few seconds I was bewildered by this. It wasn't like she was playing a game, or having fun at all. She was just headed to use the facilities, and apparently needed to stop off in a small pit along the way. Then I noticed something in her hand as she swiftly stuffed it into the pocket on her dress. When I realized what she had collected and why it completely wrecked me. I broke into a mess of tears and questions. I really couldn't process what had just happened. But it had happened. And it was so normal to her and so foreign to me that my whole existence twisted about just then. a piece of plastic wrap. Similar to what you might find wrapped around a pack of gum, only a little bigger. I'd noticed a shiny piece of cellophane she'd tucked away in preparation for her visit to the loo. Along her route she'd been looking for something she could use to...well you know...clean up. She needed some toilet paper, but this old piece of garbage plastic would have to do. The normality of this action was what got me. Here I was "Mr. Missionary" offering Jesus' love and encouragement from the good ol' US of A. But in that moment I had no idea what to do. My hands were tied. I had nothing. I was a worthless pile of blubbering tears. I walked misty-eyed to the stone and mud latrine; held my breath while relieved myself into the six-inch hole in the floor, thankful that one, I was a man, and two, I only had to go #1; and wandered away to cry by myself. I was overwhelmed by it all. I couldn't do anything to change the fact that these kids use garbage for toilet paper. I couldn't do something to make that better. I couldn't make a difference in their diet, or significantly improve their finances, or bring their parents back from the grave, or offer them all of the many blessings that my family and I take for granted. Things like toilet paper are never really an issue for us. 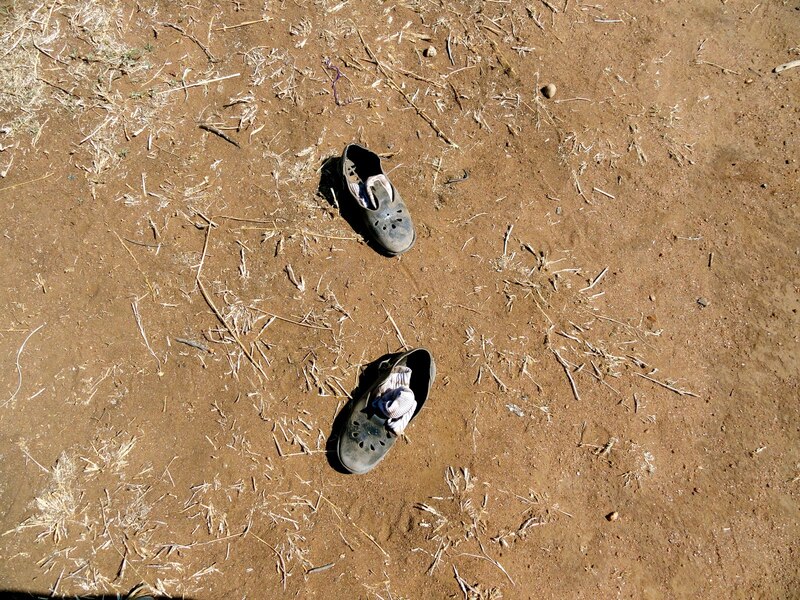 I wandered around the grounds of Bhulakane lost in a sea of tears, why questions, and hopelessness. I was wrecked. I couldn't put on my missionary badge and make it better. I couldn't go home and tell anyone that I'd made much difference. I had no good reason for asking for others to support my dreams of going to Swaziland to help. After all what could I do? My prayers went out like a shotgun blast...why am I here? Why is this place so unjust? Why can't things be different? What is the point? Why God, why?! I cried out. As I walked a little closer to the Timbali craft building I received my answer. All of the sudden I knew why I was in Swaziland. I knew exactly what I was supposed to do. I knew right where I was supposed to be. I was supposed to be there. That day. With those children. Playing. And praying. Learning to do right by them. Seeking justice on their behalf. Encouraging them in the oppression they face. Defending their cause. Pleading their case. That's why. I believe that God wanted me to see those children in that place and be so connected with His heart for them, and for all of us, that I would be wrecked by it. His love for us is greater and wider and deeper and farther than anything that we can imagine. And even in the midst of hell on earth He loves us. 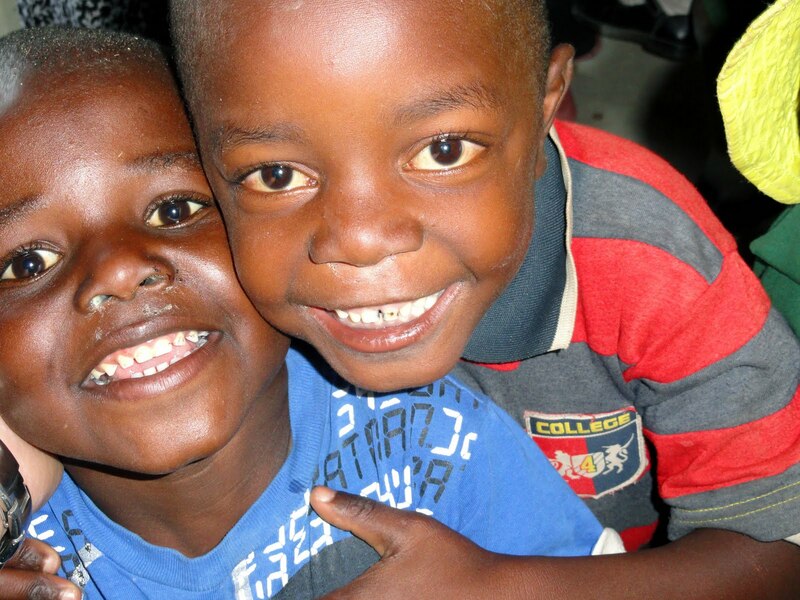 Just like even in the midst of the hopeless hell that I saw that day, my love for those children grew stronger. It is time for us to act. It's time for us to engage the world around us. Across the street and around the globe, we need to know that Jesus loves all of us. That he died for each of us. That he defeated death, rose up, and will return for those of us who choose to follow him. It's time for me to follow him. To go where he leads me and be who he's called me to be. It's time for you too. Will you follow? Will you step out of your world and run after him into the valleys of this life? Tonight I re-read Isaiah 1:13-17 from the Message Bible. I'd like to share it with you. meetings, meetings, meetings - I can't stand one more! Go to bat for the defenseless." My prayer tonight is that I would be strong enough to act. That I'd be able to give up any religious charades in my own life. That I'd quit pointless, ineffective meetings and activities. That I would say no to wrong, and learn to do good. That I'd focus on working for justice, helping the down-and-out, stand up for the homeless, and step up for the defenseless. I hope that's your prayer too. There's a world of people that need us to stand up and be the hands and feet of Jesus for them.